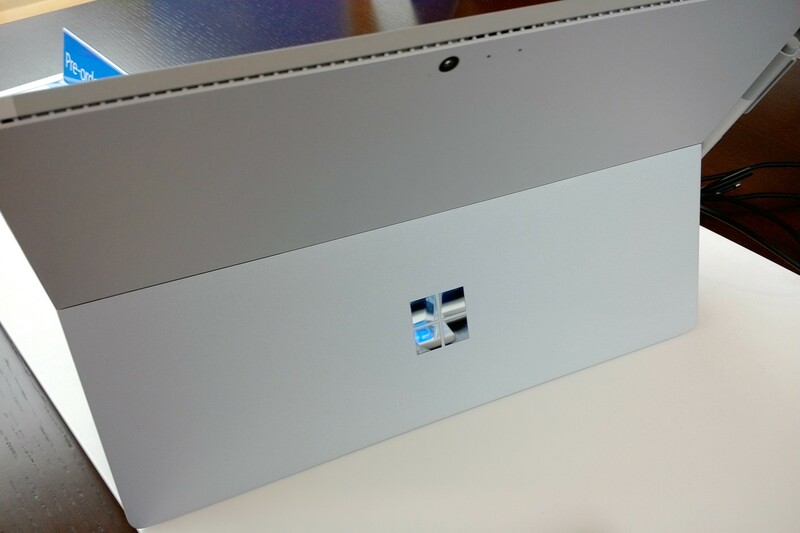 Home Article	Is the Surface Pro 4 a good successor of the Surface Pro 3? At the Windows 10 Device Event, Microsoft presented the Surface Pro 4. I had the chance to use this device for about 1 1/2 hours and now I want to share my opinion and some pictures of this device with you. If you want to read more about the specifications of the Surface check out this post here. The new Surface is lighter and thinner than its predecessor and this is also something you definitely feel when you use the device. 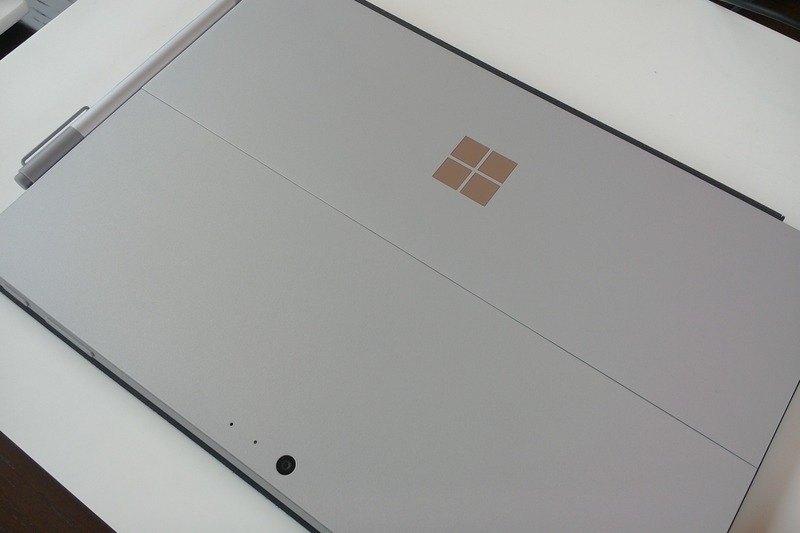 The reverse side of the Surface Pro 4 looks more like the back of the Surface 3 than the one from the Surface Pro 3 because Microsoft has replaced the Surface logo with the Microsoft logo. You can also find the logo on the new Lumias. In my opinion the new design of the reverse side looks nicer and more premium. Maybe Microsoft is trying to establish the Microsoft logo on the back of devices so that it has the same symbolic meaning as the Apple logo on Apple devices has. Now I want to talk about the new Type Cover. In my opinion this is the biggest improvement compared to the Surface Pro 3. 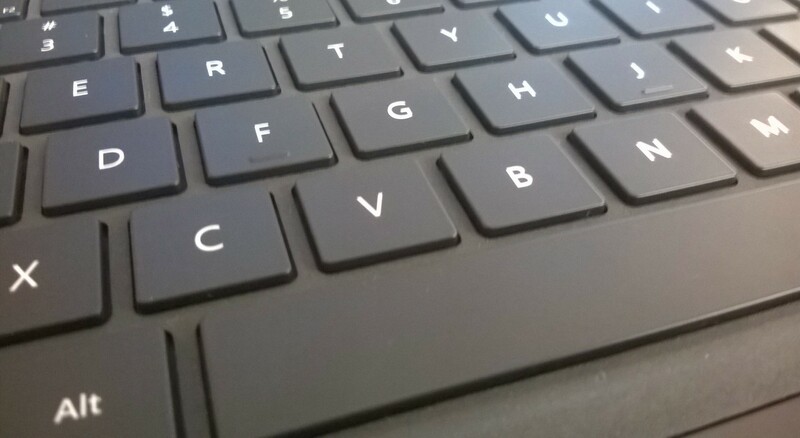 The new Type Cover has not only a bigger touchpad but also bigger spaces between the keys. This improvement makes typing much faster and more pleasant. 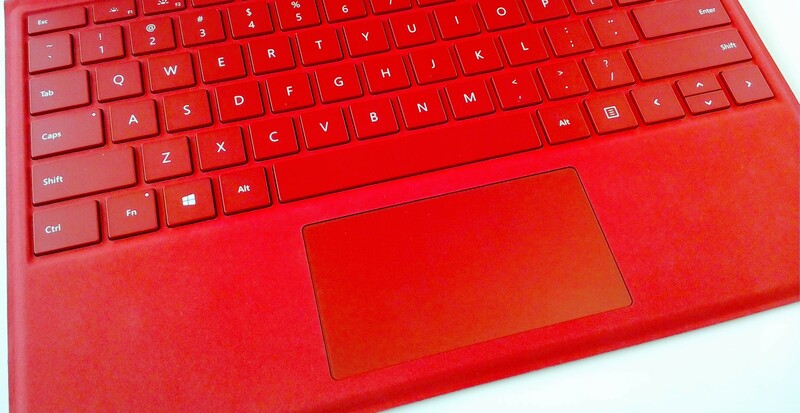 I really like the new Type Cover and I’m really happy that owners of the Surface Pro 3 can also use this Type Cover. If you are a fan of the colourful variants of the Type Cover you can be glad because now there is another color available called teal. Teal is a mixture of blue and green. Furthermore the Surface Pro 4 has better cameras than the Surface Pro 3. The pictures made by the main camera are quite good and have similar quality than pictures made with the Surface 3 maybe almost better. 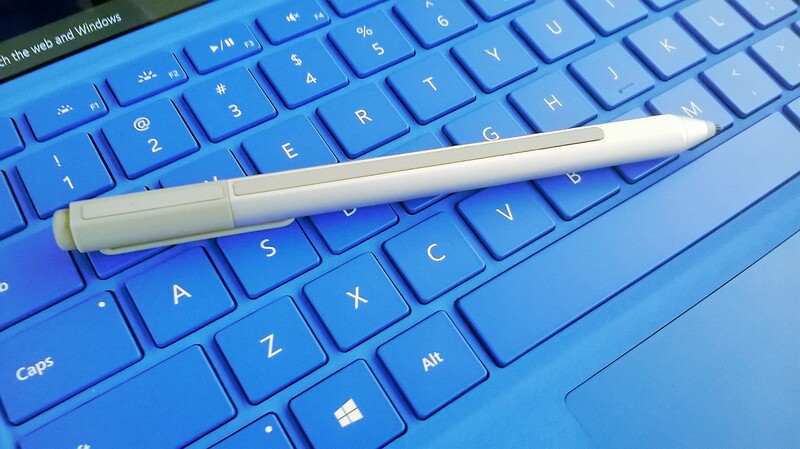 Microsoft has also spend some time to improve the Surface Pen. The pen is now magnetic so that the user can stick the pen to the Surface on either side. That is a very useful change because I now many Surface users who don’t know where to put the pen. Writing with the new Surface Pen feels almost like writing on paper because the delay between the action of writing and the visibility of the things drawn is very low. When you compare the new Surface Pen with the old one you will notice that the pressure sensitivity increases from 256 to 1024 levels. This is a change you will see when you use the Surface Pen for drawing because you will gain a better control over line pressure. Furthermore Microsoft has added an eraser on the back of the Surface Pen which works really good and gives a feeling like the user is using a real eraser. I have to admit that I had to laugh during the presentation of the eraser of the Surface Pen but when you have used it you will see that this feature really makes sense. Of course I was not able to test the speed and power of the Surface Pro 4 in the short amount of time I had with the device. Nevertheless I can say that the device feels incredibly fast. I tried to copy some big files from a USB stick and I really have to say that I have never copied files so fast before. I haven’t talked about the display of the new Surface up to now. The display has grown from 12 to 12.3 inches which was accomplished by reduction the bezels. The resolution of the screen has increased from 2160×1440 to a more impressive 2763×1824 at 267ppi. The screen of the Surface Pro 4 looks amazing and I enjoyed working with the screen but in my opinion also the screen of the Surface Pro 3 is pretty good so that the display would not be a reason for me to buy the Surface Pro 4 when I would already own a Surface Pro 3. To answer the question from the beginning “Is the Surface Pro 4 a good successor of the Surface Pro 3?” I would definitely say yes. The Surface Pro 4 is much faster and in my opinion the best Surface yet. Microsoft is learning with every generation of Surface so this device combines the best things from the previous Surface devices. In general you can say that all people who love their Surface will love the Surface Pro 4 too. Surface has become established as an exclusive, expensive device which combines the power of laptop with the flexibility of a tablet. With the Surface Pro 4 Microsoft remains true to this and has definitely a tablet which can replace your laptop in their device line up.